WHY SIGN UP FOR FUNDRAISING? Fundraising with Bright Star Kids is an easy and paperless way to raise extra funds for your school or daycare centre. There are no targets to meet, so you can start and stop whenever you like. Best of all you'll help to stop lost property! It's a great idea to hand out fundraising flyers in your school starter kits, so people will have plenty of time to buy labels before the new school year starts. Email Sign-up Tip: It's a great idea to create a free fundraising email address for your fundraising group, e.g. yourgroupsname@yahoo.com. This will allow you to simply pass on your fundraising account at the end of your term. Once you sign up for a FREE Fundraising Account, the name of your group will be added to our system. 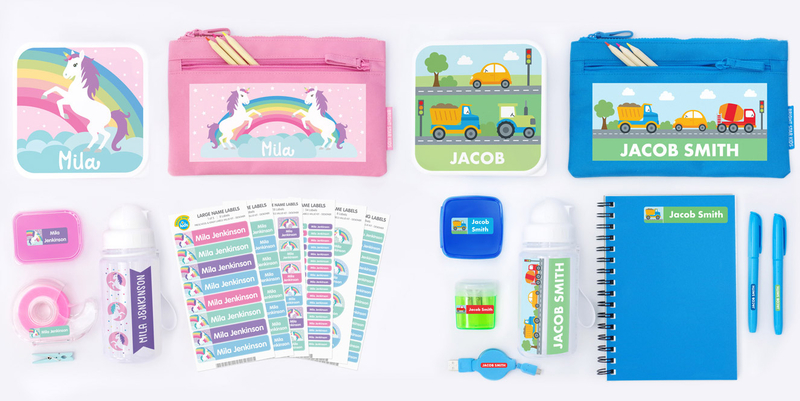 Tell people about Bright Star Kids gorgeous range of personalised school supplies. When someone shops through our website they simply have to click on LINK A FUNDRAISING ACCOUNT in the checkout and enter your groups name. This will automatically link your group to this order and you'll get 20% back in commission! 20% of all orders that have been linked with your account will be automatically added to your account as store credit. You'll be able to redeem this amount when you next purchase online, which may work well if you were to take cash orders from your group. Alternatively you can request to have your commissions paid into a bank account for a lower commission rate of 15%.